30 Forensic Engineering, Canada’s leading and fully-independent multi-disciplinary forensics firm, is pleased to announce the appointment of Dr. Rob Parkinson B.Sc., M.Sc., Ph.D. as Vice President & Practice Lead, Biomechanics & Personal Injury. 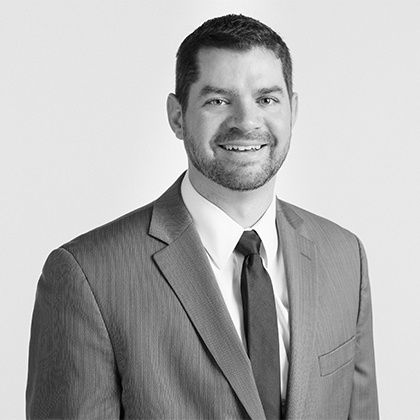 Rob will be responsible for the management, strategic planning, and governance of the Biomechanics & Personal Injury group while continuing to maintain his successful consulting practice. Rob is an Injury Biomechanics specialist with over 10 years of experience. During his time in the forensics industry, he has investigated claims involving motor vehicle collisions, slips, trips and falls, seatbelt and helmet use, product failure, and work related claims, and authored hundreds of expert reports for clients in the legal and insurance industries. Rob holds an adjunct faculty position at the University of Waterloo and remains active in the teaching and research community, currently examining biomechanical issues such as helmet effectiveness and low back injury in motor vehicle collisions. 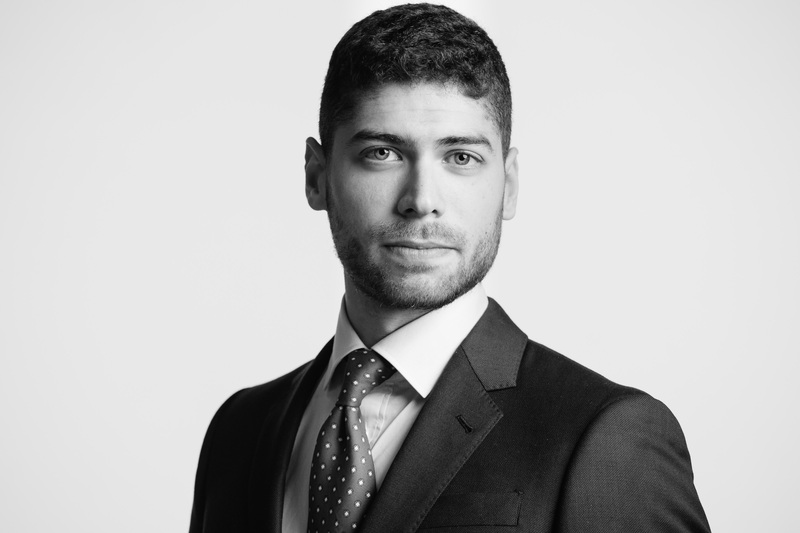 30 Forensic Engineering, Canada’s leading and fully-independent multi-disciplinary forensics firm, is pleased to announce the appointment of Fabian Erazo B.Eng., M.A.Sc. as Associate within the Human Factors Group. Fabian obtained his Bachelor in Aerospace Engineering from Carleton University in 2015. After graduation, he returned to Carleton University to pursue a Master of Applied Science, focusing on human factors in the aerospace sector. Working in collaboration with the National Research Council’s Flight Research Laboratory, Fabian’s thesis explored how helicopter pilots operating in degraded visual environments respond to changes in their information display systems. While at -30-, Fabian will be applying his human factors experience to new domains including driver behaviour and personal injury events. “We are excited to welcome Fabian to the 30 Forensics family and the Human Factors team. 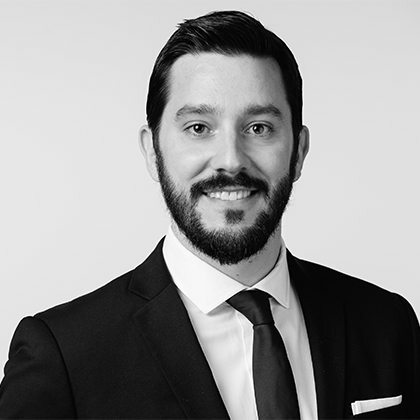 He is a proven problem solver with an eye for detail and client service which will be invaluable for supporting the growing market demand for investigations of the human contribution to MVA and personal injury events” stated Dr. Adam Campbell, Senior Associate, Human Factors group. 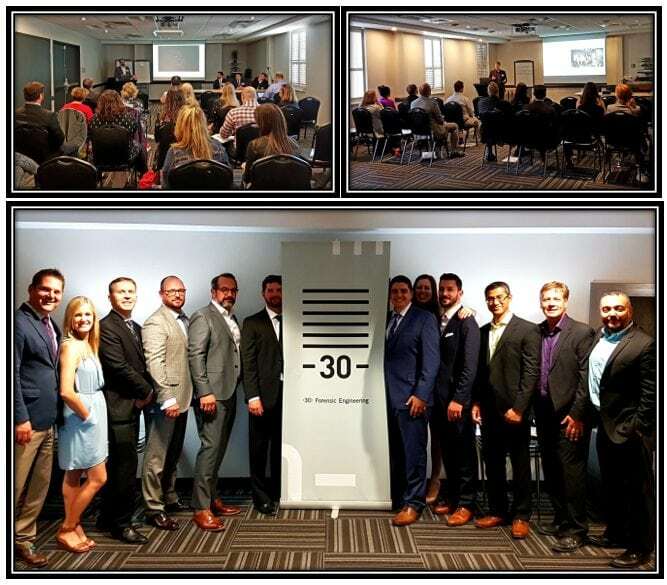 30 Forensic Engineering, Canada’s leading and fully-independent multi-disciplinary forensics firm, is pleased to announce that Senior Associate, Dr. Adam Campbell Ph. D. (Human Factors) presented a research paper at the Human Factors and Ergonomics Society (HFES) Annual Meeting in Austin, Texas. The HFES is the world’s largest scientific association for human factors/ergonomics professionals. With 4,500 members across 58 countries, it serves the needs of its membership and the public by promoting and advancing the discovery and exchange of knowledge concerning the characteristics of human beings that are applicable to the design of systems, products, tools, and environments of all kinds. Titled “Naturalistic Driver Behaviour in Response to the Multi-Sensory Experience of Rear-End Collisions” the paper was co-authored with Yasmine Belkadi and the research indicates that real-world drivers reserve the shortest perception and response intervals and the greatest braking intensities for the most immediate collision hazards. This research has applications to forensic investigations of multi-vehicle collisions and others in which driver behaviour is at the core of assessing cause and opportunities for collision avoidance. Liability is often decided upon based on whether the individuals involved behaved as expected. Dr. Campbell brings to bear his extensive scholarly and professional experiences in educating clients and courts on the limits of human capacity and the behaviours expected of those involved in personal injury matters. Was the hazard detectable in time to avoid a collision? What would have been expected of a typical person in this situation? These questions – and more – can only be answered with a proper human factors assessment. Dr. Campbell has over 15 years’ experience in the fields of human behaviour, neurophysiology and the neural control of movement, for which he has authored multiple high-impact, peer-reviewed publications. His research program aims to understand the capacities and limitations of the human nervous system in perceiving and responding to cues in the environment. He regularly performs peer reviews for scholarly societies, including the American Physiological Society and the Human Factors and Ergonomics Society. Dr. Campbell has participated in over 350 technical investigations and has considerable experience examining human behaviour during collision and personal injury events, including slips, trips and falls. He has been qualified as an expert in Human Factors, Driver Behaviour and the Analysis of Driver Behaviour in the Superior Court of Justice and has testified in multiple litigation proceedings involving collisions and personal injury matters. Yasmine Belkadi is an undergraduate student in the University of Toronto’s Kinesiology department on a joined research internship with 30 Forensic Engineering and the Toronto Rehabilitation Institute, an affiliate of the University Health Network. (TORONTO) — 30 Forensic Engineering, Canada’s leading and fully-independent multi-disciplinary forensics firm, offers world-class and trial-tested expertise on biomechanical and human factors involved in slip and fall assessments for insurance and legal clients. Working in tandem with our Personal Injury and Civil/Structural groups, our team of experts can provide a full, unassailable picture of cause and effect. In addition to measuring the slip resistance of the walking surface and comparing to available standards, we consider the whole picture – including individual pedestrian characteristics (e.g., age, disability, experience), activity (e.g., walking straight, turning, rushing, descending stairs), and environment (e.g., signage, lighting, and distraction). Our approach allows for an in-depth understanding of incidents allowing for confident decision making. Slips and falls seem to be a simple issue, caused by too little slip resistance, or friction, between footwear and the walking surface. However, assessing the cause of a slip and fall incident is often not as simple as comparing the measured slip resistance of the flooring to standards. Flooring manufacturers are aware of the need to provide flooring solutions that meet slip resistance standards. However, there are often multiple factors contributing to the initiation of a slip and influencing the likelihood of it resulting in a fall that are beyond the scope of current standards or best practices. While standards provide guidance for what constitutes an adequately slip resistant surface, often the slip resistance values are described in the context of a healthy person walking normally on a level surface. The blind application of these standards often fails to address critical issues, such as the risks faced by the aging population. Dr. Robert Parkinson B.Sc., M.Sc., Ph.D.
Dr. Adam Campbell, B.Kin., Ph.D. Rob Parkinson, Principal of the Biomechanical & Personal Injury Group at 30, was quoted in the latest edition of The Lawyers Weekly. The article, entitled “No More Head Games” by Geoff Kirbyson, focuses on the increased social awareness of the rising number of sports-related head injuries, the and how the government is reacting to this phenomenon. Dr. Parkinson spoke specifically on the advances in technology and scientific thought that surrounds concussions. Although it is the highest-claimed injury he sees at 30 Forensic Engineering, there is still the psycho-social element of players underreporting injuries to help their team. As technology continues to improve, that psycho-social element may be eliminated through empirical evidence and measuring head acceleration to help determine what kind of speeds are related to concussions. “I think we’re in the early stages of what is going to be a very hotly contested issue. Not every head impact results in a concussion. There seems to be this belief that all head impacts are equal. From a mechanical standpoint, that’s just not true. Sliding head first into second base and hitting your head on another player’s knee isn’t the same as tapping your head against the wall,” Parkinson says. If you have questions regarding head injuries or concussions, reach out to Rob here. Giffin Koerth’s Kathleen Denbeigh and Dr. Robert Parkinson have been published in the latest issue of The Lawyers Weekly. Their article, entitled “Anatomy of a slip and fall”, focuses on the slip resistance of modern footwear, and circumstances where it is necessary to consider footwear as a potential contributor to a slip and fall event. Slippery walking conditions are familiar to Canadians, but ice and snow are not prerequisites for a slip and fall; slips and falls also occur on indoor surfaces, with potentially serious consequences. Such falls are a major source of injury and lost-time costs when they occur in the workplace, and as the population ages, the frequency and severity of slip and fall injuries is likely to increase. There are many factors that can potentially contribute to a slip initiating, including the environment and walking surface, individual walking biomechanics, and footwear properties. The likelihood that a slip, once initiated, will result in a fall can also be influenced by footwear, as well as pedestrian characteristics and their ability to recover balance. A consideration of all factors can provide a full picture of the contributors to a slip and fall, although this article briefly focuses on footwear. Kathleen is an Intermediate Associate in the Personal Injury Group, and Rob is the Principal of the Biomechanics & Personal Injury Assessment Group. Working with Dr. Jack Callaghan, the Canada Research Chair in Spine Biomechanics and Injury Prevention, Dr. Chad Gooyers conducted one of the first experiments to examine the cycle-varying changes in the mechanical properties of intervertebral disc tissue under cyclic biaxial tensile loading conditions. Numerous in vitro studies have examined the initiation and propagation of fatigue injury pathways in the intervertebral disc using functional spinal units (see Figure 1, below); however, there have been fewer studies performed with isolated tissue samples under biaxial loading conditions. Results from this study demonstrate that with cyclic biaxial tension applied to multilayer samples of annulus fibrosus tissue, several statistical interactions emerged between the magnitude of tissue stretch, cycle rate and location on the disc where the tissue samples were harvested from. Based on the greater magnitudes of peak stress that were observed in tissue samples obtained from the posterior-lateral region of the disc, it is hypothesized that these changes may provide a theory to explain the increased prevalence of micro-structural damage that has previously been documented in this region of the intervertebral disc. These findings are discussed in the context of the known mechanisms for structural damage that have been linked to fatigue loading in the intervertebral disc. Gooyers, C.E. & Callaghan, J.P. (2016). Peak stress in the annulus fibrosus under cyclic biaxial tensile loading. Journal of Biomechanical Engineering, In Press. Giffin Koerth is excited to announce that Dr. Chad Gooyers has been appointed an Adjunct Assistant Professor in the Faculty of Applied Health Sciences at the University of Waterloo. In addition to undergraduate teaching, Chad will now participate in graduate student co-supervision on injury biomechanics research projects. Giffin Koerth is proud to announce the first offering of an upper year undergraduate course in Forensic Biomechanics and Kinesiology, designed by members from Giffin Koerth’s Casualty Group. This is the only course of its kind in Canada, offered exclusively at the University of Waterloo, entitled “Forensic Biomechanics”. The course will focus on the role of biomechanics and kinesiology in the context of litigation surrounding injuries occurring as the result of motor vehicle collisions, slips, trips and falls, and protective equipment. Students will be encouraged to develop a strong sense of the science behind such analyses, and the critical importance of clear, concise and compelling communication. Congratulations to Rob Parkinson, Jamie Catania, Kathleen Denbeigh, Chad Gooyers and Adam Campbell.